It was a little like losing my virginity. After several brief flirtations with the Tesla Model S over the past year, today I finally got behind the wheel of a P85D. And it felt great. As part of its ‘green day’, my employer had arranged for a couple of Model S to be available for test drives and naturally I put my name down. When three o’clock came the rain had finally stopped, but the roads remained damp and greasy. Hardly ideal conditions for testing a car with nearly 700bhp on tap, but needs must! 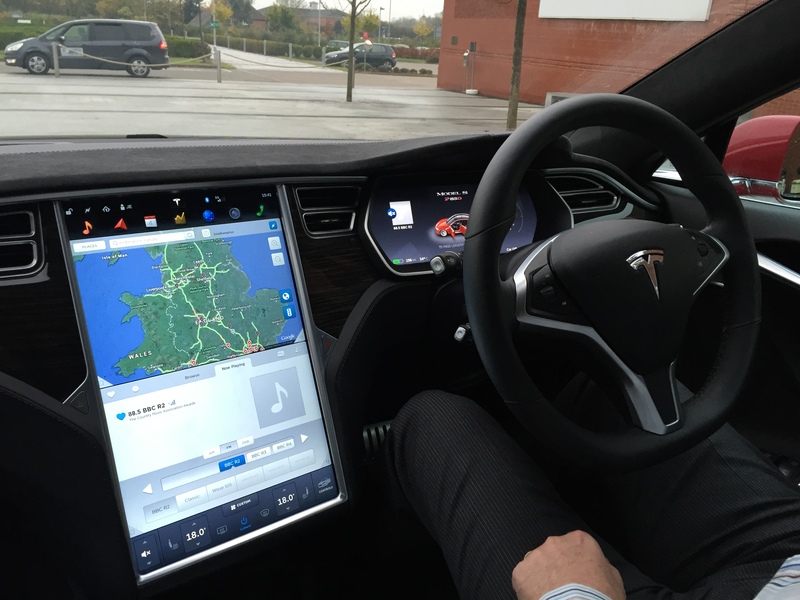 The driving experience was all that I’d hoped – something like a LEAF on steroids! Take off from rest was rapid yet serene, and the car felt firmly planted despite the damp conditions. What impressed me most, though, was the way the electronic stability control stepped in to curb the wilder excesses of the over-enthusiastic driver. 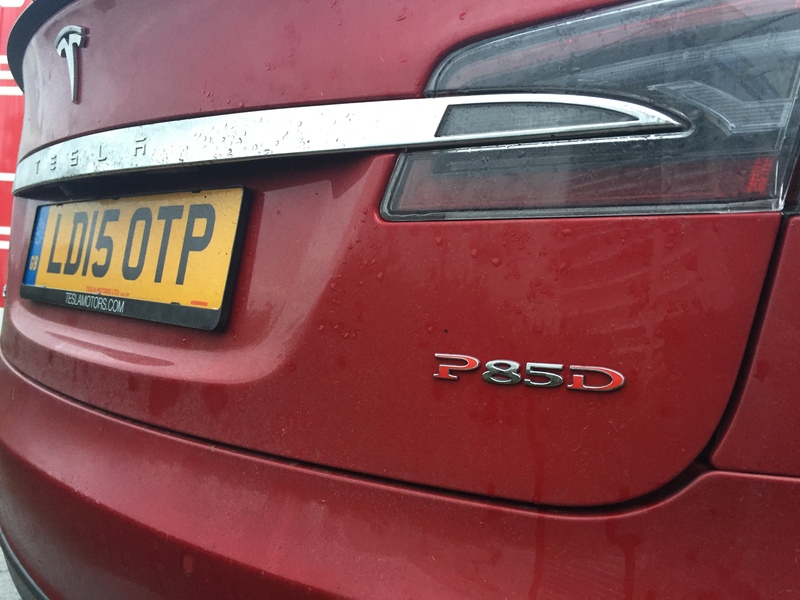 A car of such power and torque could easily become a handful on a wet road, but the P85D conducted itself with the utmost decorum despite my heavy-footed approach to test driving. I never cease to be amazed at what Tesla has achieved in its short life. It’s remarkable that a vehicle of this sophistication is being built in volume after such a brief gestation, but what is frankly astonishing is just how good it is in build quality and performance. Not perfect, of course; there have been a few niggles and perhaps the engineers have tried to be a bit too clever in places, such as the retractable door handles, but in the main it’s really hard to fault. To my mind it even represents good value and, though it’s still too costly for the average buyer, it does a great job of establishing the brand. I’ll be at the front of the queue to reserve my Model III in March next year.